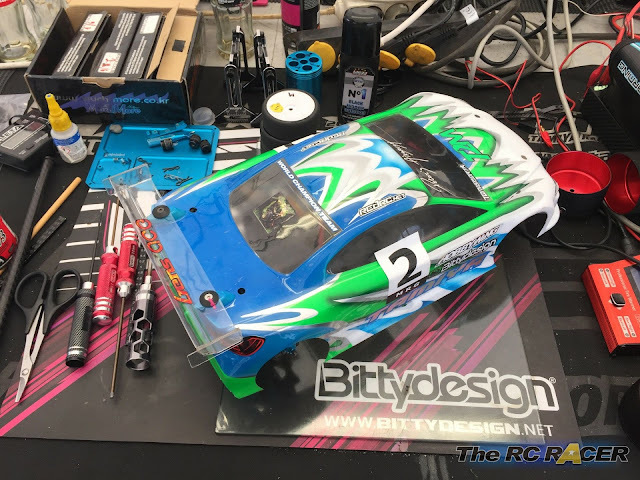 Florian Joos participated with this Tamiya TRF419X WS at the penultimate round of the Belgian nationals, held at the fast track of MRG Genk. This track is situated on a motorsports facility, squeezed between a MX track and a FIA karting track. The Belgian nats are a one-day event, but most racers arrive on the Saturday to dial their cars in. Unfortunately, the Saturday was a complete wash-out. We used the day to find a good setup for Florian’s wet weather car, which is basically his TRF419. I also kept the long dampers on this car as I found they work better in the wet than the short BB shocks. As the track was still damp on Sunday morning, we decided to use our base setup, which is largely copied from Christian Donath. To cope with the low-grip conditions, I put more toe-in in the back (D block), higher the roll centers by putting a 2mm shim on the inner camber links (instead of 3mm’s) and used a 3.0 rear spring. We tried the car for 3 laps and it was dialed. Florian had high hopes for the first qualifier. We mounted a new set of Volante tyres and Florian was ready to go. To our surprise, he was completely uncompetitive and finished in a low P7. Apparent was his lack of top speed and his fastest lap was .8 off the pace of the front runner. 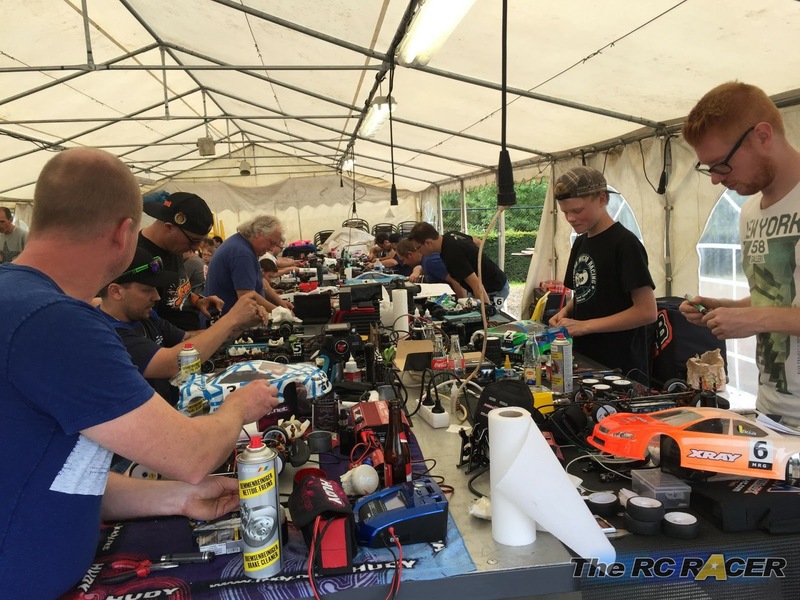 Fortunately, the FBA (Belgian federation of R/C cars) responsible of the electric section, Bjorn De Witte, was present and he made his point of view clear that there would be some serious scrutinizing for the next round. Flo and I kept our heads together and made some changes on the car. 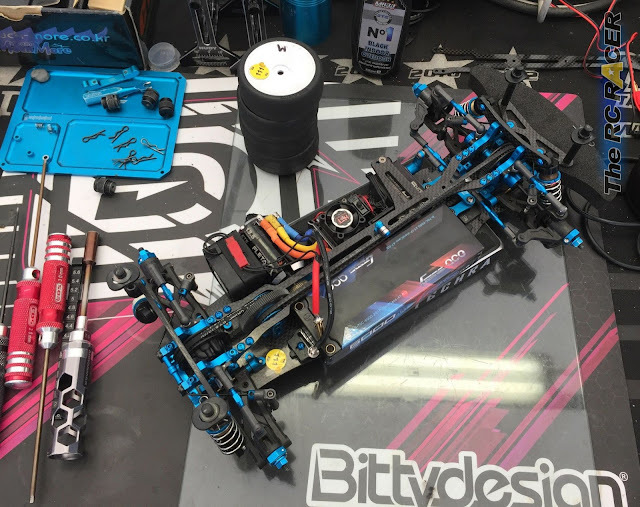 Other motor, his best battery, less toe-in in the back (C-block), higher roll center (2.5mm shims under the inner camber links), different additive (Mighty gripper red) and off he went. He drove brilliantly and in his anger almost got the TQ time, but he failed by 1 second or so. 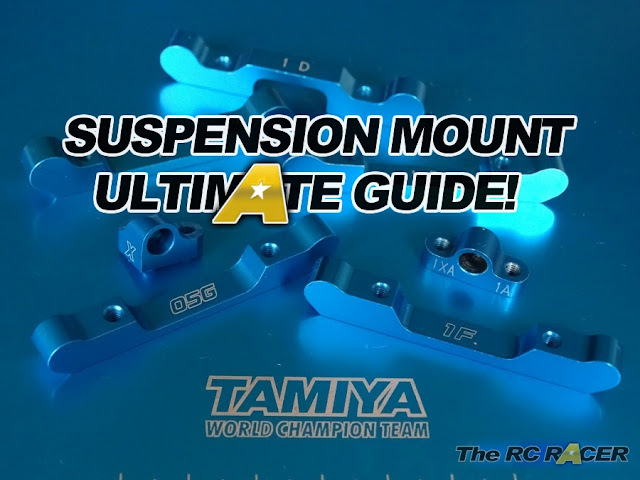 For the last qualifier, I put the 3mm shims under his inner camber links in order to get some more corner speed. Flo was the only driver to get a 16 lapper, so he was feeling good for the finals. In the finals, he had to start from P2. 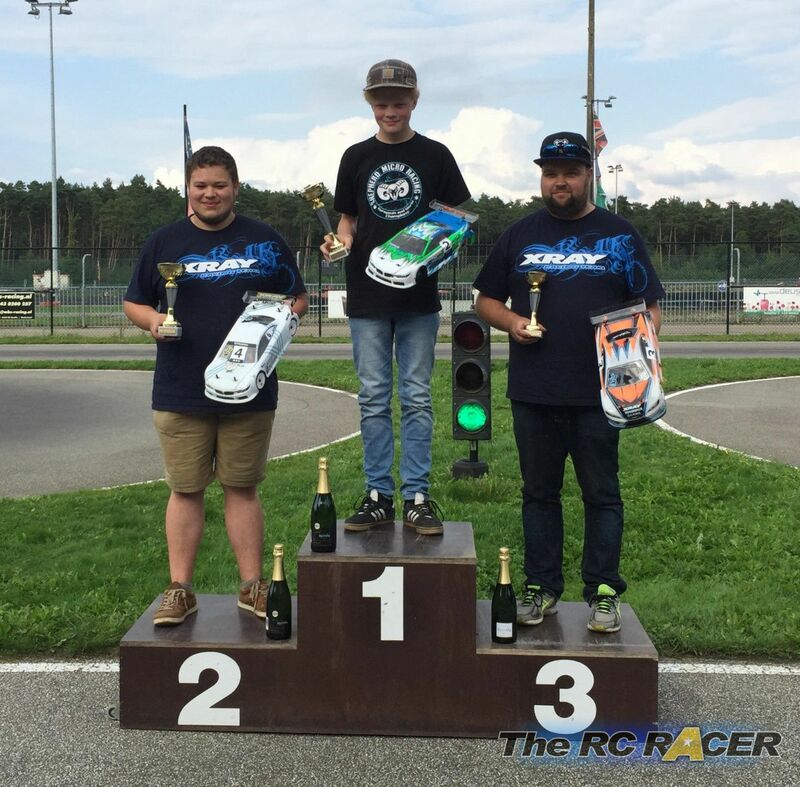 From the word Go, he put immense pressure on Stefan Rommens, the TQ man. Stefan made an error in the fast left hander after the straight and this let Florian by. He held on to his P1, despite a challenge from his biggest title contender, Vincent Van Gansen (Xray). In A2, he again put Stefan under pressure and dived into a small gap. He took the lead in lap 2 and never looked back. 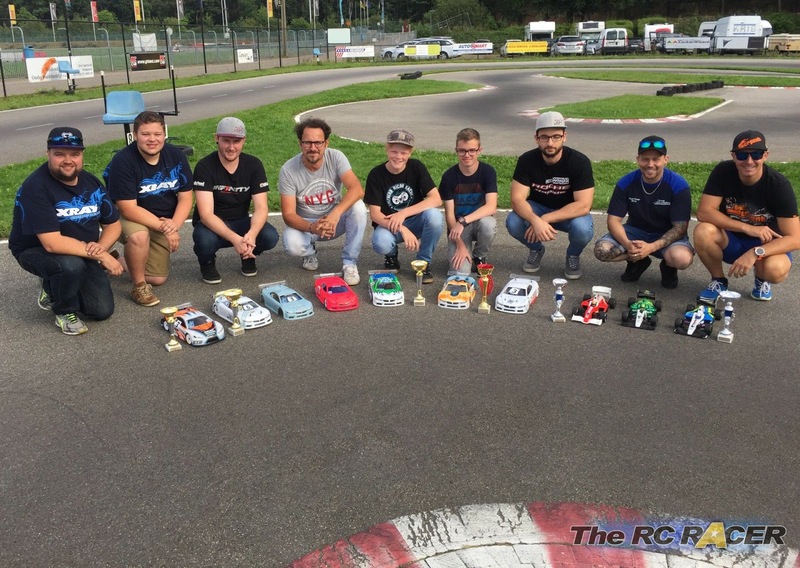 With this win, the Belgian title in the stock class will be decided in the last race. Both Vincent and Florian have 2 wins and 2 second places.